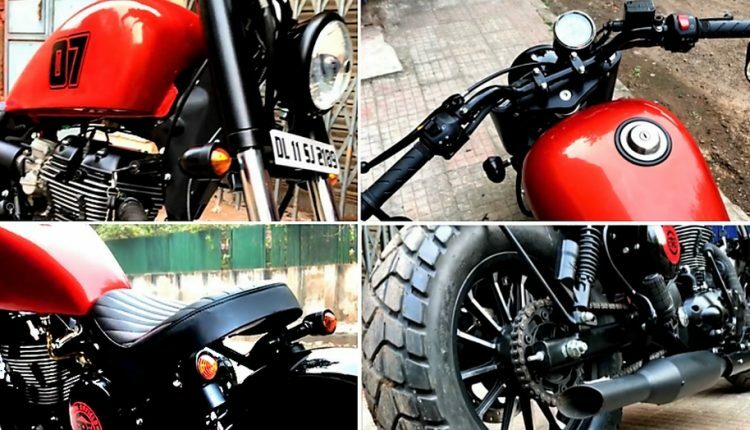 The Royal Enfield Thunderbird Bobber seen here is definitely the most eye-popping product that you will go through the day. The beauty of the cruiser got enhanced further when the introduction of Bobber components helped it achieve the next-level design lines. 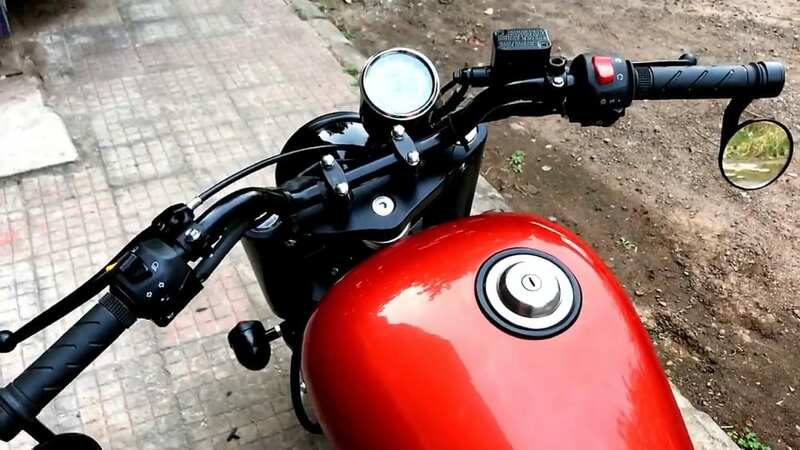 The fuel tank is inspired from the popular peanut fuel tank design while chrome fuel cap and red paint help the bike gain attention among other motorcycles on the road. Being a Thunderbird, the engine area is already black-finished with chrome highlights on the upper section. 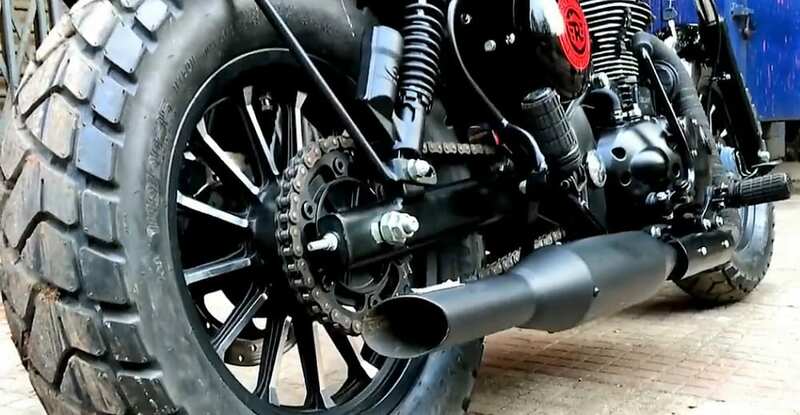 The matte black exhaust has a throaty output and looks impressive on the overall profile. 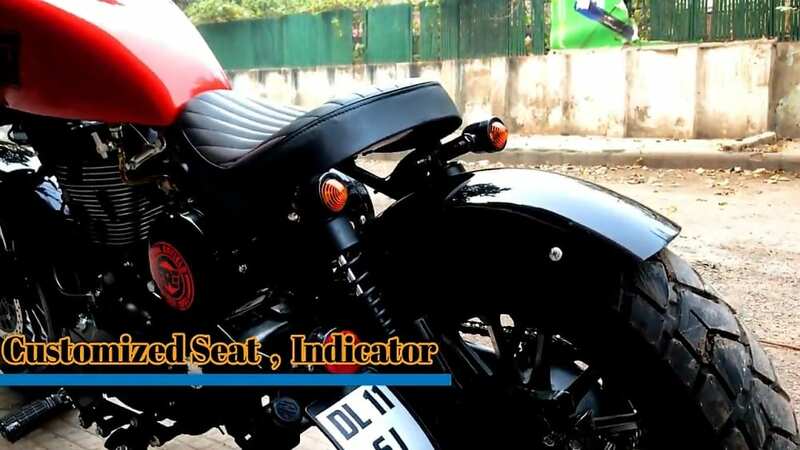 The single seat design is derived from the expensive Harley-Davidson motorcycles while the thick tires are directly inspired from Iron 883. 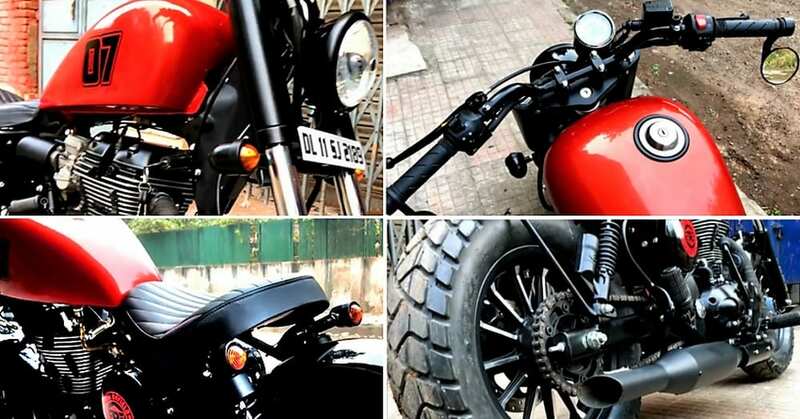 The sitting position is completely new while the front fascia now flaunts bobber style headlight with single pod console. The front and rear fenders are chopped in such a way that they perfectly hug the huge tires and match the gloss black profile of the alloy wheels. However, the addition of chrome on the alloy wheels brings unity between the engine finish and the tire section. 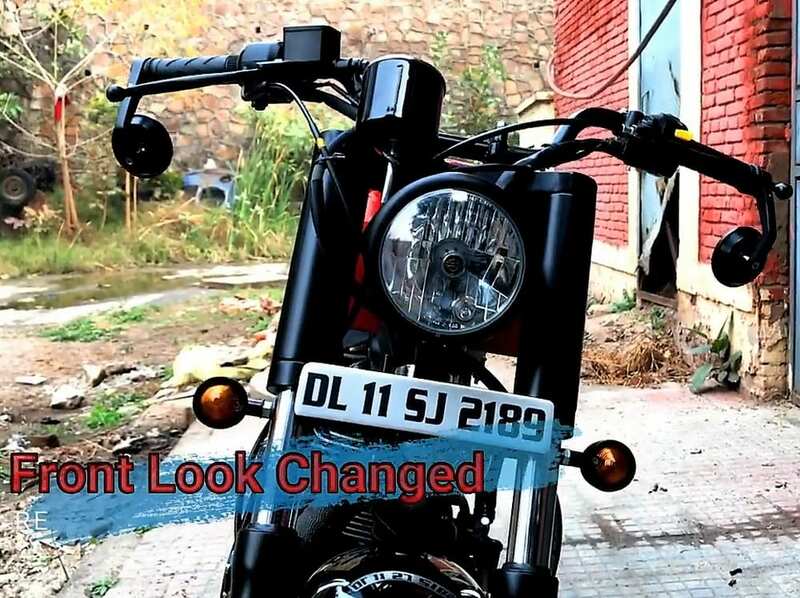 The frame is partially exposed around the fuel tank while the number plate holder is seen on the left side of the motorcycle.